Mangaluru, Mar 21, 2018: As per the figures projected, 34,496 (90.5 %) of the 38,306 students who appeared for the first pre-university examinations in Dakshina Kannada last month have been declared passed. This is the first time a complete picture of the performance of the students in the district is available as the results are now available online. The Dakshina Kannada Pre-University College Principals’ Association made available the results on its websitewww.dkpucpa.com on March 19, Monday. 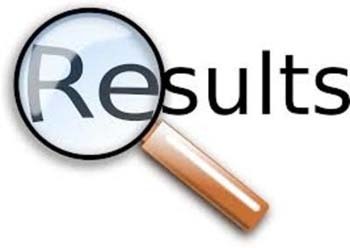 This is the first district in the State to publish the I pre university results online. According to a press release, of those who cleared the examination, 17,717 are girls and 16,779 are boys. While 6,009 students have scored more than 70 % marks, 14,035 students have secured between 60 % and 70 % marks. In all, 16,413 of the 17,440 students in science stream, and 14,154 of the 16,104 students in commerce stream have passed. As many as 3,929 of the 4,761 students have got through in the arts stream. Of the 30 repeaters, 20 have cleared the examination, the release said. Ruchita Hegde from the Vivekananda Pre University College, Puttur topped the Arts steam by securing 576 marks. Bindu from St. Agnes College, Mangaluru, has come second with 575 marks, followed by Likhita G.N from SVS Pre University College, Bantwal with 572 marks. In the commerce stream, Ashwini B from SVS Pre University College, Bantwal topped with 599 marks, followed by Sharadhi K.S. from Sri Ramakunjeshwara College, Ramakunja with 597 marks and Ujra Khairunnisa from Hira Women’s Pre University College, Mangaluru with 596 marks. In the science steam, Karthik V. Pai from Excellent Science and Commerce Pre University College, Mangaluru and Atharva N Pikle from Expert Pre University College, Mangaluru topped with 596 marks. S. Darshan Samarth from Alva’s Pre University College, Moodbidri, has come second with 595 marks, followed by Mokshit Hegde from Expert Pre University College with 594 marks.